To join online: Complete the submission form and proceed to PayPal options. To renew dues: Skip the submission form, and proceed to PayPal options. 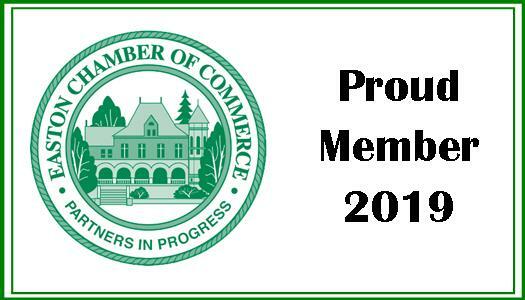 The Easton Chamber of Commerce offers a membership badge for our members to proudly display on their website. The badge is 180 x 92 px and can be placed on your website. Simply copy the image into your site and link to the chamber website. To download the image for print or email signature, click here.